Girls who suffer maltreatment and abuse may be less likely to survive into middle age than their peers who don’t experience physical or mental torment growing up, a U.S. study suggests. Researchers examined data on self-reported abuse from a national sample of almost 6,300 adults, and then followed them for two decades to see how many of them remained alive by 2015. Women who reported physical childhood abuse were 58 percent more likely to die from all causes during the study period, while women who said they were emotionally abused as kids were 22 percent more likely to die. “There are not just psychiatric consequences of childhood abuse, but also there appear to be physical health consequences, at least based on self-reports of childhood abuse,” said lead study author Edith Chen, a psychology researcher at Northwestern University in Evanston, Illinois. For men, however, there wasn’t an association between reports of physical or emotional abuse in childhood and lower survival odds, the study found. “We cannot tell from the data, but we speculate that there may be differences in how men and women cope with stress, or that there may be differences in men’s and women’s biological (e.g., hormonal) responses to stress,” Chen added by email. To explore the long-term impact of child abuse on longevity, Chen and colleagues examined data on self-reported maltreatment from questionnaires participants completed in 1995 and 1996 when they were typically in their late 20s. By the end of the study period, almost 1,100 of the participants had died, or about 17 percent of the original survey population. Survivors were 47 years old on average. Men were more likely to report severe or moderate physical abuse than women, the study found. 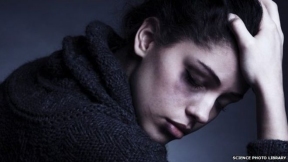 But women who reported experiencing severe physical abuse, moderate physical abuse or emotional abuse from a parent were at increased risk of death during the study period, researchers report in JAMA Psychiatry.